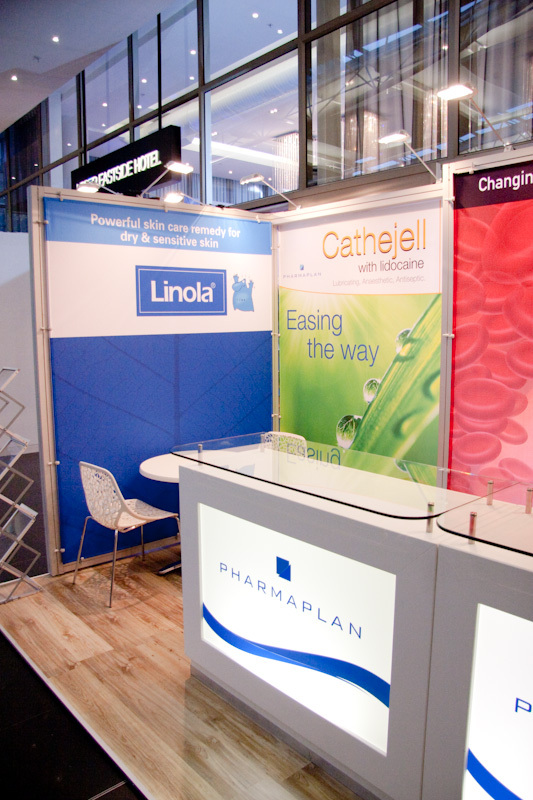 Based on a 6m x 2m floorspace this expo stand was an offshoot of an exhibit built previously for the Gyneacology division of Pharmaplan. It made use of existing graphic panels. 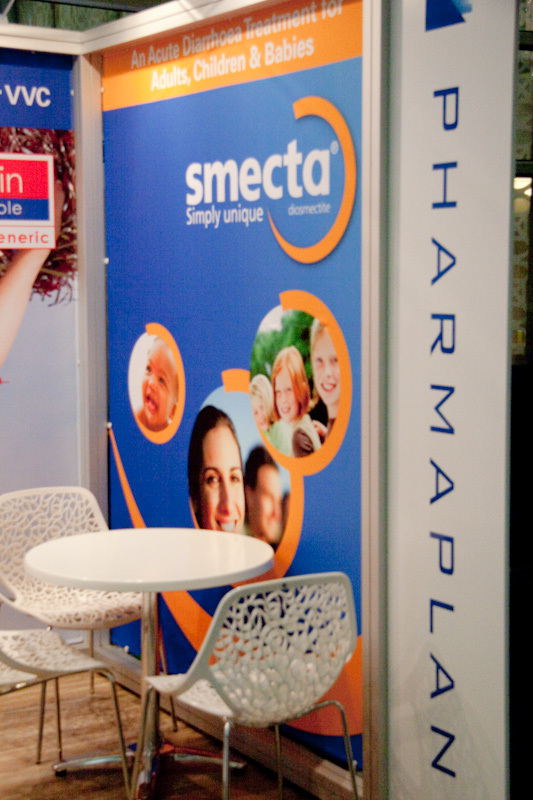 Products on display included Smecta, Linola, Cosmofer, Cathejell and Lomexin. SASUOG was held at the Upper Eastside Hotel in Woodstock, Cape Town. The expo stand was in a prime position at the main entrance of the hotel Lobby ensuring a very busy stand for the congress duration. Popcorn is always a hit at these events to such an extent that we need to hire in extra help to run the popcorn machine. 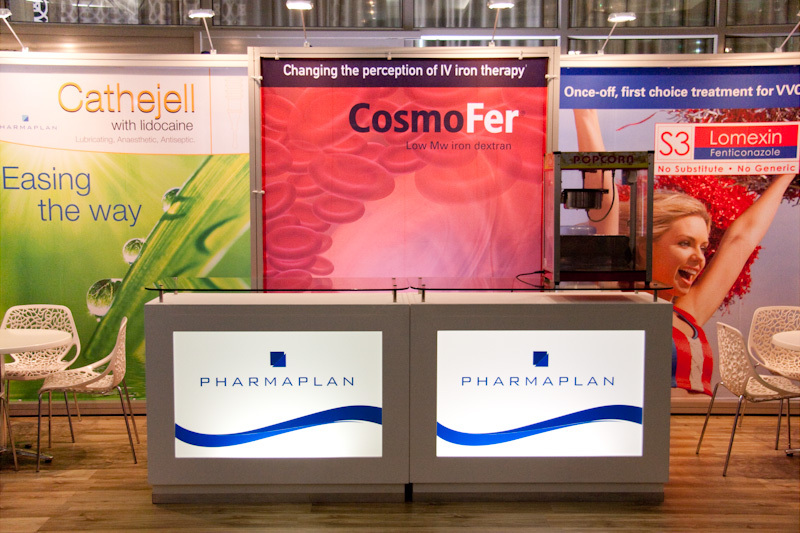 Another superb and economical exhibition stand produced for Pharmaplan. Hott 3D designs, manufactures and builds trade show exhibition stands and temporary event infrastructure. 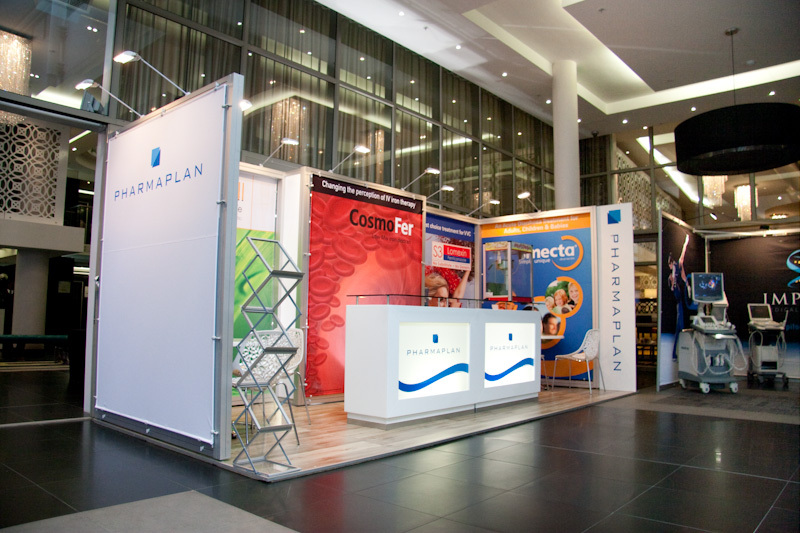 The company provides complete expo solutions all over South Africa including – Cape Town, Durban, Johannesburg.